Encouragement - Encourage your child to use the toilet when they want to. It needs to be exciting! You could use a sticker chart or treat them with something small in the morning if they have had a clean/dry pyjama pants through the night. Books - Books can help sometimes. A bed time story book can make night time a more relaxing experience. Don't be mad - The last thing you should do is get mad at your child is they wet the bed. They are still growing up and learning. No child should get a row for night time accidents. This can also make them nervous which means they will more than likely wet the bed even more. Get them involved - Let them come with you to the shop to buy new pyjama pants, underwear or/and bed matts. This will also make them excited. Don't force them - At the end of the day they are children. We can't and shouldn't force them to do anything. They will start when they are ready so don't start night training out of the blue and if they don't seem ready. We were recently sent a pack of DryNites® Pyjama Pants. Originally I was going to let Elliw wear them but instead I decided it would be best if Mia wore them because I didn't want Elliw to go back into wearing pyjama pants at night, plus she didn't want to. Mia still wears pyjama pants during the night due to her toilet problems and she can pee ALOT during the night so it was quite interesting to see how the DryNites pyjama pants would hold during the night. DryNites® Pyjama Pants are designed for children aged 3-15 years. They offer a discreet protection for your child so they feel confident in themselves. DryNites® are now working with celebrity Mum Denise Van Outen and kids coach Naomi Richards to help parents inspire confidence in their child during the day and night. 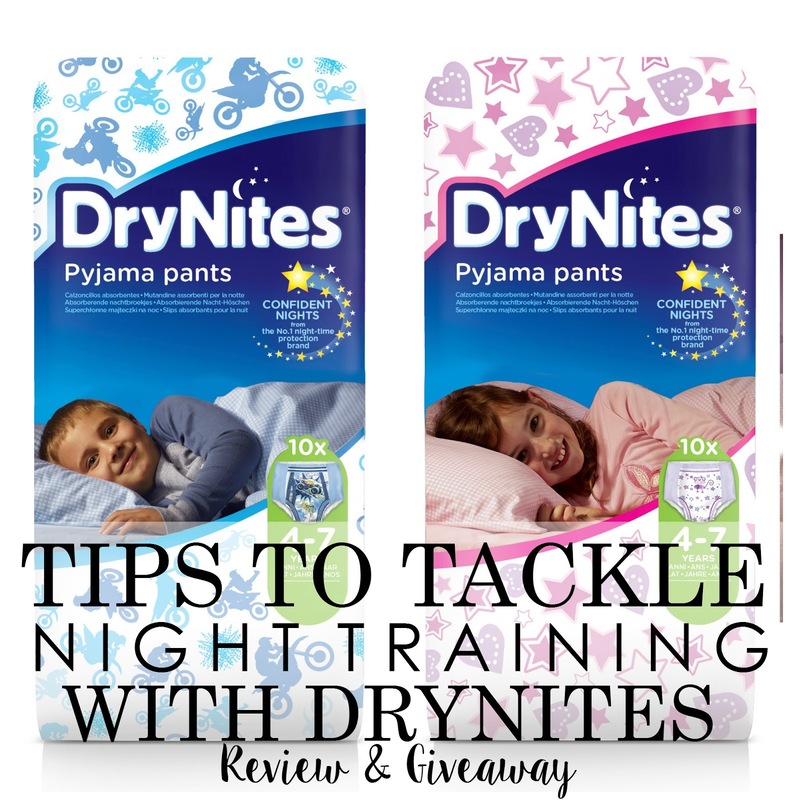 DryNites® Confident Kids 24/7 Campaign aims to give parents helpful advice to boost their children's confident and overcome challenges such as night time accidents. You can visit DryNites for more information on their Campaign. DryNites pyjama pants come in two different coloured packs of 10. You can choose a pink or a blue pack. What I really liked about these DryNites pyjama pants was the softness of the pants. I have bought so many different pants in the past and these have to be the softest pants which I think is a bonus. 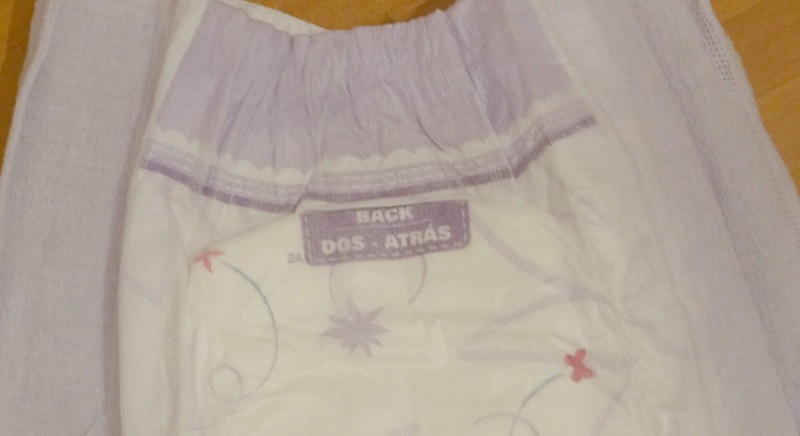 It has a small label on the back of the pyjama pants saying 'back' which is great as you don't always know with some pants which is the back and which is the front. In the mornings the pyjama pants held well and I will be buying these in future. Almost 600,000 children experience bed wetting in the UK every year. Although most become dry on their own, it can be an anxious and unpredictable time. DryNites® Pyjama Pants are the perfect confidence booster for bedtime, and provide age-appropriate, night-time protection to help make children feel as grown up at night as they do during the day. I am partnering with DryNites® to offer one lucky reader a fantastic bedtime kit to help encourage confidence at night time. The kit includes four packs of DryNites® Pyjama Pants and two packs of DryNites® Bed Mats which are discreet and easy to use. Check out www.drynites.co.uk for more information on bedwetting and tips on how to inspire confidence in your little one as they grow into a ‘big kid’. How many children experience bedwetting? * I was given a pack of DryNites free of charge in return of an honest review.